This is truly must see country! The Western MacDonnell (West Macs) Ranges is Albert Namatjira country and once you've seen it you'll fall in love with it. The spectacular gorges and chasms provide the perfect scenario for a whole range of adventure and activities. The Western Macs is an outstanding example of an ancient landscape sculptured over time by climatic elements. Cool scenic gorges are important refuges for a collection of plants and animals, many of which are found only here and some are relicts of a bygone era of tropical forests. 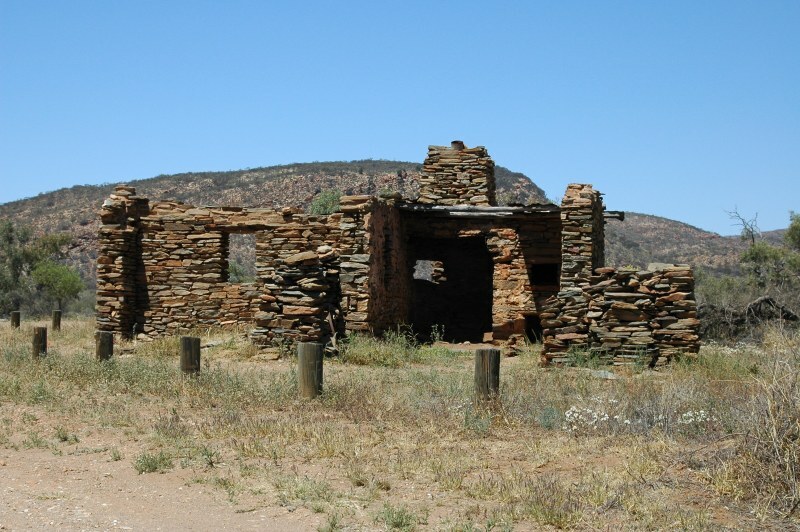 There are many opportunities for visitors to explore and appreciate the scenic beauty and history of the area. Features of the landscape are significant in the stories of Western Arrernte Aboriginal culture, and have existed for many thousands of years. Experience the arid central Australian landscape in an enjoyable and different way along the Simpsons Gap Bicycle Path. This sealed path meanders for 17 km through attractive bushland between Flynns Grave and Simpsons Gap. The path meanders cross-country with generally easy grades, making it a relaxing and scenic ride for visitors of all ages. Vantage points provide panoramic views of the hills and ranges encircling Alice Springs. You see part of this ancient landscape as the path winds from creekside woodlands of River Red Gums, through Mulga and Witchetty Bush groves, to exposed rocky hills. To find out more about our Western Macs visit Around The Alice - To The West. 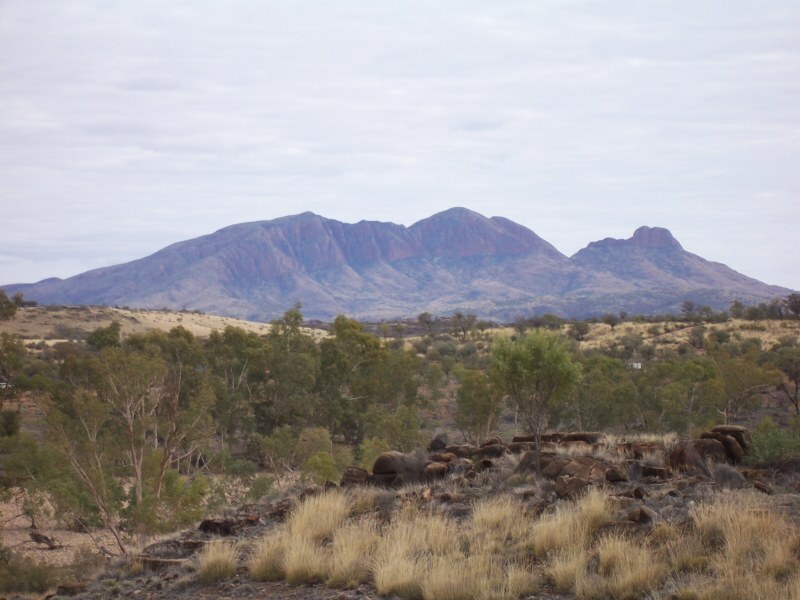 The Eastern MacDonnell (East Macs) Ranges contain interesting Aboriginal paintings and are important spiritual sites to the Eastern Arrernte Aboriginal people. Again spectacular gorges provide the perfect scenario for a whole range of adventure and activities. Many places in the landscape are associated with the same Dreamtime story. Together these places form a 'Dreaming Trail'. Emily and Jessie Gaps are associated with the caterpillar trail. Emily Gap is the most significant, as this is where the caterpillar beings of Mparntwe (Alice Springs) originated. These caterpillars formed Emily Gap and many of the topographic features around Alice Springs, then radiated out to the edge of the Simpson Desert. 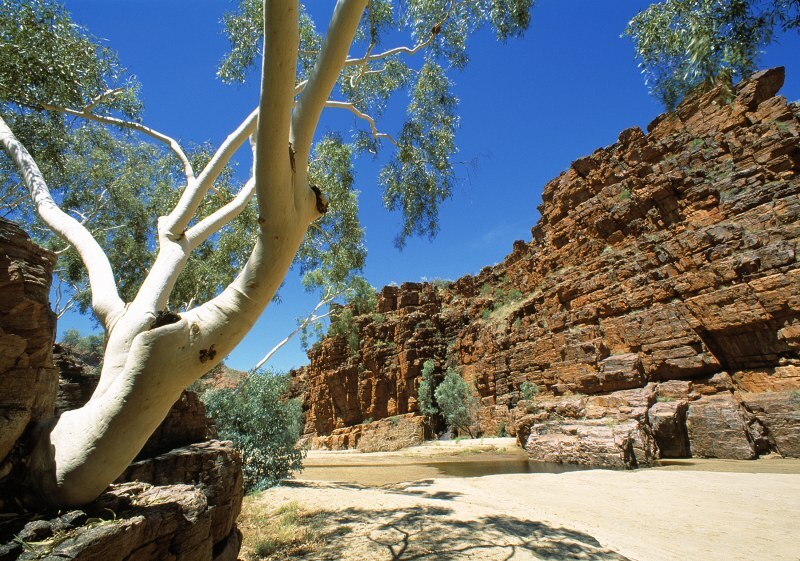 Other gorges are noted for their sheer quartzite cliffs and River Red Gum lined watercourses. Water holes in this area attract a lot of wildlife, including a diverse range of birdlife. The uncommon Black-flanked Rock-wallaby is ironically the most commonly sighted mammal here. Not so easily seen amongst the spinifex along the rocky ridges are the nocturnal Fat-tailed Antechinus and the large Knob-tailed gecko. Further along the Eastern Macs you can experience the "Gold Rush" days. To find out more about our Eastern Macs visit Around The Alice - To The East. So whether you take a tour or self drive this beautiful country of ours you will be AMAZED, we promise you that. The Northern Territory covers about one-sixth of the Australian Continent.